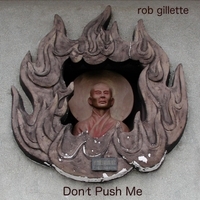 Rob Gillette got his first guitar by stealing it from his brother who couldn't play it anyway. He founded a series of original bands in the lively DC music scene, including 86% Hype (with members of cult favorites 9353), The Man Upstairs (with Soul Stew recording artist Mary Hott) and The Prawns. After his move to California, Rob founded the Fabulous Jammies, playing venues ranging from the Sonoma Film Festival to various biker bars in the San Francisco Bay area. Now based in the Boston area, Topic Ends is Rob's first solo effort and will be released on Soul Stew Records this summer.